Why partner with Tree of Hope? An opportunity to attract and motivate staff – partnering an emotive and a charity that clearly demonstrates impact will increase your staff engagement whether locally or nationally – previous partnerships have demonstrated that staff feel passionate about our cause. A current partnership with a Marks and Spencer store inspired a large group of staff to use their own time to take part in exciting fundraising activities, as well as an in-store promotion during work time. They are already planning next year’s activities! The opportunity to develop a sales promotion to influence purchasing decisions which can lead to increased sales. Donating a set amount of a product as a charity campaign for either a set period of time or a longer relationship has demonstrated an uplift in sales for many businesses. For example, a company selling food could donate £1 from each children’s meal sold for one month, or a toy company could donate 5% of a certain product line for one year. Alignment to a media-friendly brand with opportunities to generate strong PR coverage and enhance your reputation. This can lead to improved customer loyalty and the chance to engage new customers. Support from our experienced Fundraising Manager who will be there every step of the way to guide you and ensure our partnership meets your objectives. Tree of Hope is an amazing and unique charity and it needs your help! Your fundraising efforts and donations will help hundreds of children to receive the support that they need, making a huge difference to the lives of seriously ill and disabled children and their families nationwide. Tree of Hope provides fundraising advice and tools, financial expertise, discounts from large medical suppliers, and a compassionate and listening ear for emotional support. Families who fundraise with us are able to claim gift aid on many donations and are able to partner with local companies who wish to help but need the reassurance of helping formally through a charity. Tree of Hope receives no government funding and relies entirely on partnerships and donations from individuals to be able to provide help to families who are often in desperate need for help for their child. You can make this help possible for children and their families today and in the future. £5,000 can help 20 children’s campaigns get the PR support they need to reach local and national coverage, reaching thousands of potential new donors. National coverage has given many of the children Tree of Hope supports a huge boost towards their fundraising targets, bringing in thousands of pounds with just one national article. £15,000 can help fund a part-time family support officer at Tree of Hope for one year, providing much needed advice, support, encouragement and help to fundraise for parents of children with a serious illness or disability whose health can be improved by medical intervention once they can afford the treatment. £45,000 can fund a family finance officer for two years, providing reassurance and financial clarity to hundreds of families with fundraising campaigns and their donors, removing the stress of managing funds from the family and enabling discounted rates to be negotiated for children with medical treatment and specialist equipment suppliers. 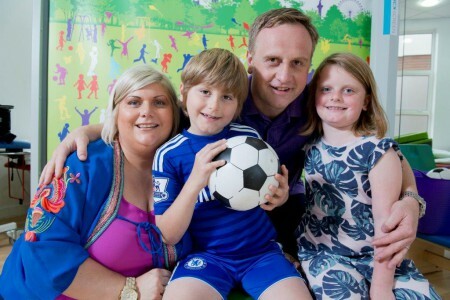 £100,000 can help fund our family support programs, providing grant application assistance for hundreds of families from an experienced fundraiser, helping families to reach their fundraising targets and get the operations, treatment and/or equipment their child needs for better health and increased independence. Tree of Hope works with a range of corporate partners across the UK and locally within the South East. Each partnership is unique and based on individual needs, but here are a few ideas to get you started! Partnering with us as your chosen charity of the year is a fantastic way to get your whole company united around Tree of Hope and increase staff retention, loyalty and motivation. We will be on hand to develop a calendar of activities and can provide you with a range of fundraising materials, support and motivation along the way. Here are some examples of a recent charity of the year partnership and ways that your staff can get involved! 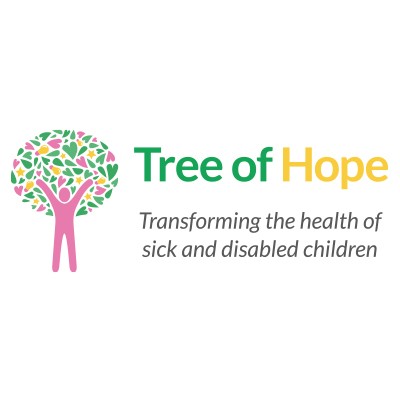 Working in partnership with Tree of Hope is a fantastic way to demonstrate your CSR credentials to customers and increase sales with customer’s picking you over your competitors as they identify with the cause you support. Each year we hold a variety of exciting events which are available for sponsorship. This is a great way to support Tree of Hope whilst also increasing your brand awareness. These are some of the events current and previous corporate partners have chosen to support. Operation Pay Up! Feel Good! Improve your working capital and save your company money whilst supporting Tree of Hope. Encourage prompt payment of invoices by publicly announcing that you will be making a donation to Tree of Hope every time your customers pay their invoices early or on time. Find out more here and contact the Fundraising Team to sign up. Payroll giving is a tax efficient scheme that enables your employees to make a regular donation to us straight from their salary. Donations are taken before tax, which means a £10 donation will cost an employee just £8. Donors can give any amount they choose and will have the flexibility to change or cancel their gift at any time. As a company, you could also choose to match fund all or part of employee donations. Start by completing our online form. We will then notify your payroll department and they will begin making the pre-tax deductions from your pay. You will receive a thank you letter from us to confirm we have received your gift. Payroll giving donations provide us with a long-term, reliable source of income which enables us to plan large projects with confidence. With your help, we can increase the family support team at Tree of Hope to provide increased essential support services for seriously ill and disabled children and their families. These are just initial ideas outlining the ways we can work together. To discuss these ideas, or any other ideas you may have, please contact emma@treeofhope.org.uk and a member of the team will be in touch.